Outside the front of the house is lots of boring nasty concrete which has been covered in layers of builders junk for the last few months whilst the basement flat has been being gutted and rebuilt. No concrete now... much better! Hackney Council charged me £35 to take away all of the bagged concrete which was paid for by my landlord. Happy days. Happy days – I cycled by the park ranger’s hut today and he was in – I thought the hut was just for show! 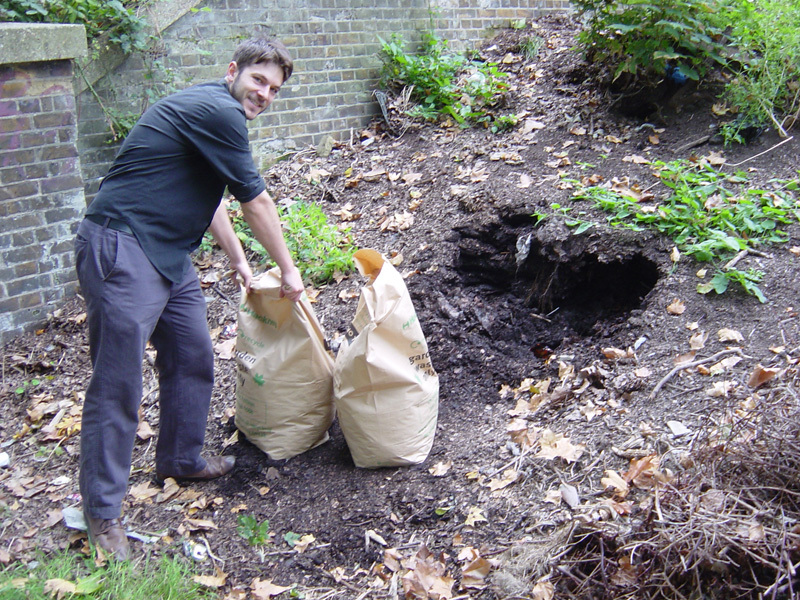 My friend Simon kindly agreed to help me out getting the compost back to mine. 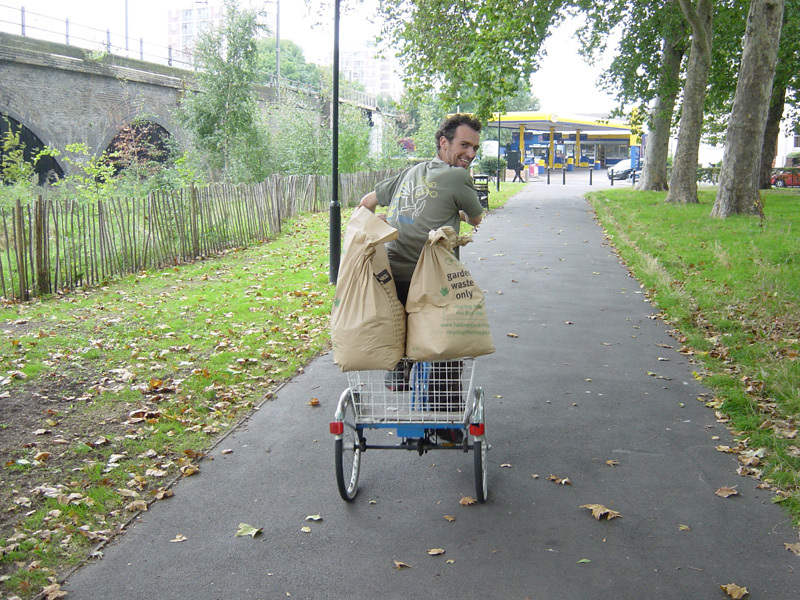 The brown bags are free from Hackney Council for garden waste but are very useful for moving around stuff too as I have found more than once already. We collected ten bags in fourty minutes then had to stop due to exhaustion – this is proving to be quite a workout for me! I also managed to get a huge stash of garden cuttings from across the road this morning – I reckon with this load of compost, a pile of cardboard boxes and the neighbours cuttings I have all I need to start mulching.